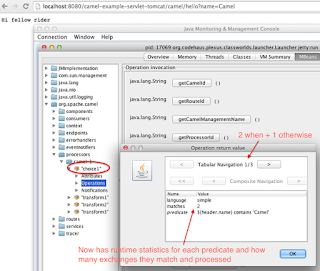 In the upcoming Apache Camel 2.16 release we expose even more information about your running Camel applications. We recently added specialized mbeans for all the different EIPs to expose EIP specific information. Before we had a few mbeans for some selected EIPs. But in Camel 2.16 we have for all of them. For example the content based router now keep track of which of its predicates that matches how many messages at runtime. A screenshot below. The throttler EIP will expose how many messages are currently held back, and how long time before they are released. The circuit break exposes the state of the breaker whether its open, half open or closed. And the failover load balancer keeps taps of how many times each different exception has triggered a failover, and so on. Also each EIP is provides details about how its configured, and you can also dump that information as XML (as you may know you can do for the entire route), but this is for the EIP alone. Another new feature is that we also keep track of the utilization of all the endpoints. There is a global mbean that provides a list of all top 1000 recently used endpoints (the size is configurable), and how many times those endpoints have been used. What is cool is that we also track whether the endpoint is an incoming or outgoing endpoint. To demonstrate this in action, I recoded a little shot video showing this, together with the new endpoint-stats command we have in the Camel commands. We also introduced an Extended JMX statistics level, which you can turn on. When running in this mode, each EIP will also track their personal usage of each endpoints. So what the video does is on a global level. But with the extended mode, you can drill down on each EIP and see how many different endpoints they use, and which ones are the most often used. For example if using the Recipient List or Dynamic Router EIP to route to many different endpoints. We all this new information it allows Camel tooling to go even further. We are working on adding more coolness to hawtio, so it can show a wobble diagram of all the inter relationship with your Camel routes within a Camel context, but also at a higher level, the communication between different Camel applications. 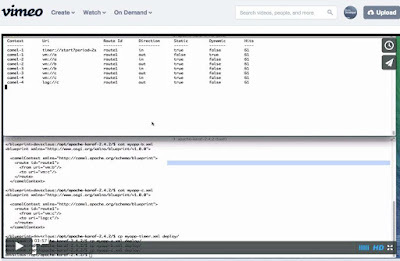 And of course as well in table like view, as the endpoint-stats command does in the video. 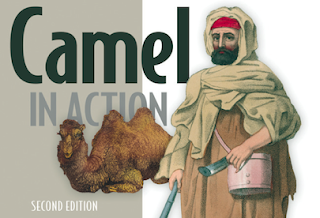 So its time again - we are back and announcing Camel in Action 2nd edition. The first book has done well and its time we get back into the saddle and ride hard to deliver another excellent book. Jonathan and I are thrilled to be back after 5 years and writing about Apache Camel again. Readers of the 1st edition will get the same level of dedication and hard work we put into the first book. We have taken all the best chapters from the first edition and updated them with all the latest functionality that Apache Camel offers together with all the excellent feedback we have received over the years about the book. We have also not been afraid of dropping content from those chapters which are less attractive today to add in more content. We are adding 6 new chapters, and are expecting the book to be 1/3 longer - yeah more work for us, but we want to capture all the details of what is possible with Camel today. As for new content you will find chapters that extensively cover how to do microservice style development with Camel. How you can quickly build and run Camel standalone in fat JAR style, or with popular containers such as Spring Boot, DropWizard or with Jetty or CDI containers. 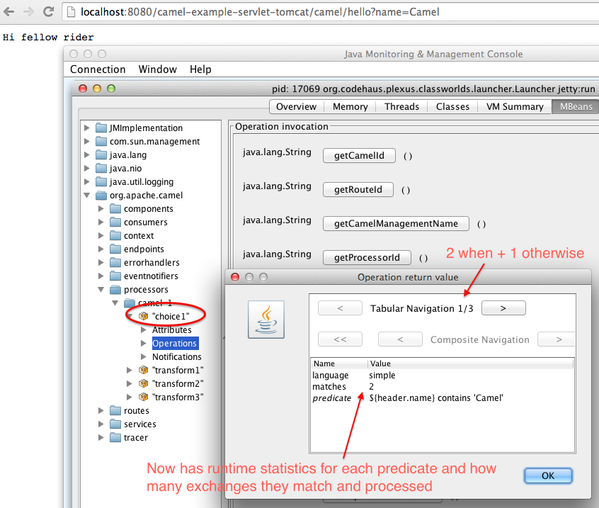 You will also find chapters that takes Camel even further how to scale and cluster Camel so you run many of them. And of course a lot has changed since the 1st book, such as the cloud, docker, and kubernetes, fabric8 and hawtio. And for the reactive movement we will talk about RX Java and vertx. So we will go even further this time and take you through all this exciting new shiny toys you can do with Camel. 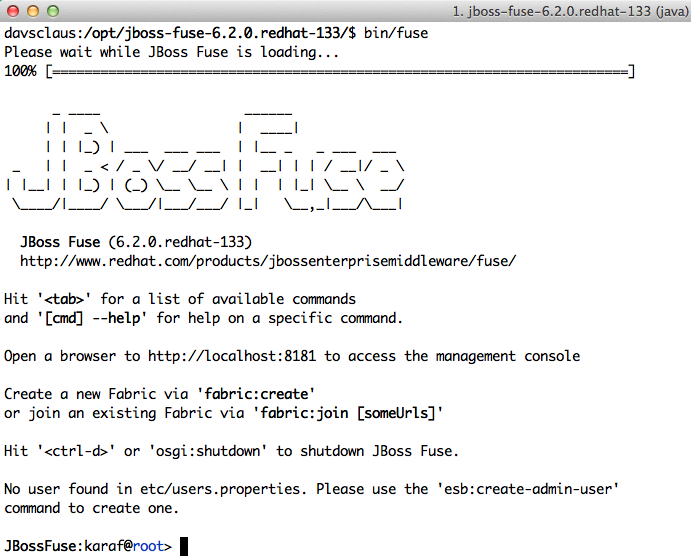 Users of JBoss Fuse, or ServiceMix / Karaf will not be forgotten. We are biting the bullet and cover using Camel on OSGi much more in depth than in the 1st edition - back then OSGi was not really that well mature as it is today. Oh btw we would love to do a chapter on iot, so let us know if you feel the same way. 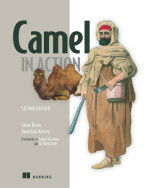 Then we will reach out to our friends from Camel Labs and have them help out as guest author to write about all that. They have done some great blogs to showcase what Camel already can do on embedded devices and micro controllers. Manning have told us that if you purchase the 2nd edition, you will get the 1st edition for free (an electronic copy, not the hardcover). Now unfortunately as a personal taste of mine, they made the getting started guide longer and ... well to much JBoss tasty. 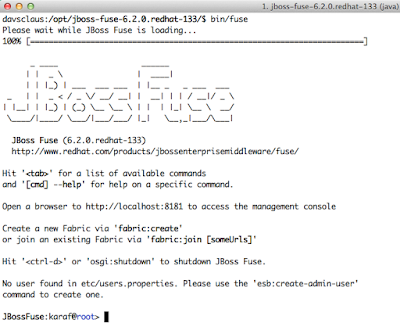 Users do not need to start with a "complicated" install procedure of installing JBoss Eclipse tooling and then starting the Fuse server from an editor.